Below you will find a description of the various file types and how to best utilize them in Microsoft Windows. word processor file will have the most detailed formatting, cleaner look, full editing capability and utilize various Microsoft Word Utilities. It can be opened and edited with Microsoft Word or WordPad. A spreadsheet file that utilized various Excel utilities to perform common spreadsheet functions such as sorting and mathematical calculations. In order to maintain full functionality, this file needs to be opened using Microsoft Excel. 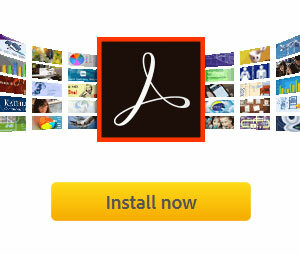 A proprietary file of Adobe Systems, .pdf files have the advantage of looking exactly the same, independent of the software used to open the file. They are similar to a graphic file with increased capabilities. This file type usually gives you the most consistent printable version of the document. They generally cannot be edited without using specialized software that is capable of editing the .pdf file. This site provides downloads of various printable file types. These common file types can be edited with Adobe® Acrobat, Microsoft® Excel and Microsoft® Word applications. However, if you do not have the application designed to edit these documents, you can download the viewers to view and print these documents. Printing Microsoft Word documents – Generally the files should not need editing to print. However, you can go to File>Page Options if you want to change the margins, paper layout and other print formatting options. Printing Microsoft Excel spreadsheets – Generally the files should not need editing to print. However, you can go File>Page Options if you want to change the margins, paper layout or other print formatting options. You may also need to select all the cells in the table and go to File>Set Print Area. Printing Adobe PDF files – Generally Adobe PDF files should not need editing, but you may have to go to File>Print and make adjustments to Page Handling and Page Scaling to ensure the document will fit on the size of paper loaded in your printer.